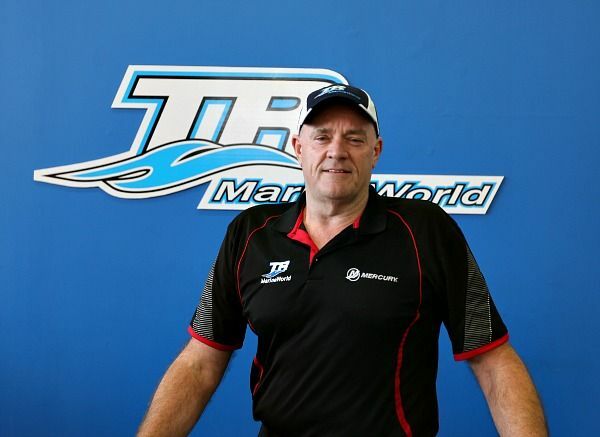 TR MarineWorld is proudly a family owned and operated Australian business. Based at McGraths Hill (Windsor) it is ideally located at the gateway to the Hawkesbury River and serves the Sydney and local communities, as well as those nationally. The Dealership stands head and shoulders above most businesses in the area. Housed in a large, modern and undercover facility, it is a pleasant experience to visit in any weather conditions. The huge hangar style showroom features an expansive 2,000 square metre display area, surrounded by a large outside purpose-built tarmac display area, edged by a grass perimeter. Along with the undercover Service Department, a very substantial accessory and parts display incorporating chandlery, fishing tackle and water sports equipment is guaranteed to take your interest. With over 30 years experience and from humble beginnings at Dural, Ian Tricker has created a boating experience to be enjoyed. From the successful Dural operation came the best brands and product available nationally, supported by a team of select, willing and enthusiastic professionals dedicated to fulfilling your boating needs. With a proud reputation of over 60 years experience in high performance engine technology, TR operates a fully factory trained and certified facility which is more than capable of answering every challenge and catering to all your service and repair requirements. The security of Data Dot technology is also available. TR Marine is the winner of National Dealer of the Year status, has numerous awards for service excellence and Club Marine Insurance list TR as one of their certified Platinum Agents. We, the staff at TR MarineWorld, promise you a wonderful boating experience and guarantee we will not be beaten on quality or price. We will put our skills and talents on the line to ensure you have the best customer service possible!